Launch of Dementia Friendly Daisy Chain Cafe at Ovenden Park – Tomorrow! 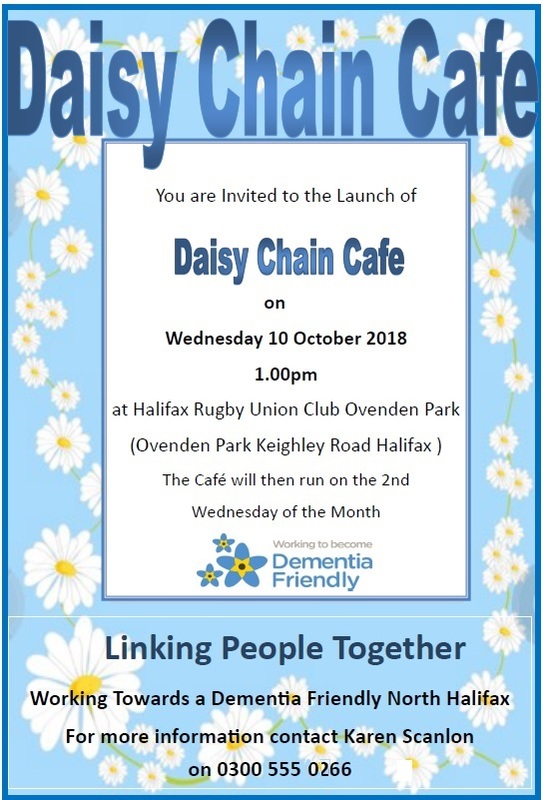 Get ready for the launch of the dementia friendly Daisy Chain Cafe tomorrow on Wednesday 10 October 2018, 1:00pm at Halifax Rugby Union Club, Ovenden Park, Keighley Road, Halifax HX2 8AR. The café will run on the 2nd Wednesday of each month and is part of the initiative to make the North Halifax region Dementia Friendly.